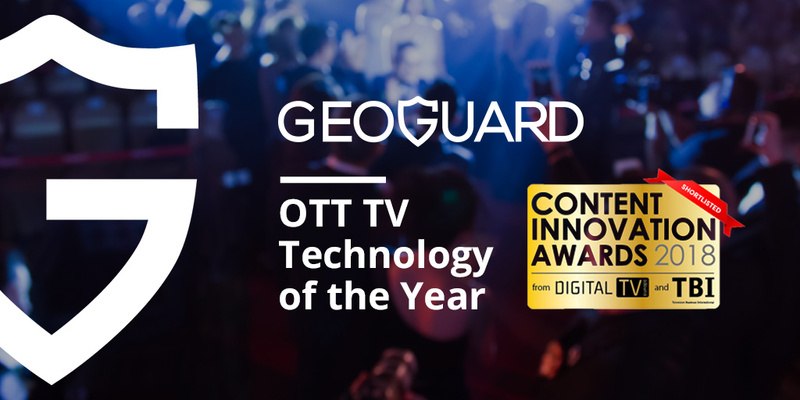 GeoGuard’s studio approved VPN/DNS Proxy detection solution has made the shortlist for the prestigious Content Innovation Awards in the OTT TV Technology of the Year category. The winner will be announced at the annual awards gala in Cannes on October 14. “Making the shortlist of the Content Innovation Awards signifies that a company has made a major contribution to the TV and video business – whether that’s a best-in-class technology, world-beating service, groundbreaking format or innovative marketing and distribution strategy,” says Stuart Thomson, Editor, Digital TV Europe. For a full list of categories and nominees click here.